petizione: Governor: Sign Legislation To Help More Of New Mexico's Youth Enjoy Our Outdoors! Governor: Sign Legislation To Help More Of New Mexico's Youth Enjoy Our Outdoors! New Mexico is home to millions of acres of spectacular public land and water. However, while we are rich in natural resources, many of our communities are poor. Too many of our youth are underserved and will never get to experience these amazing places. We have the opportunity right now to change that. New Mexico is creating a Division of Outdoor Recreation, which would drive economic development by increasing tourism and consumer spending, driving job creation, and attracting skilled workers to our state. The state legislature just passed legislation to include an Outdoor Equity Fund (OEF) as part of the division. Now, we need the Governor to sign it. It's time to equalize the outdoors for New Mexico communities and particularly, for young people of color. Our youth are the next generation of stewards of our land and culture. 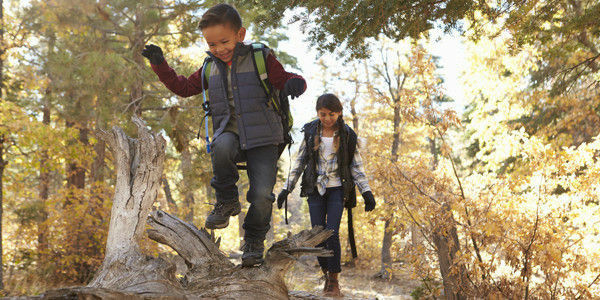 Urge Governor Lujan Grisham to take the final step and sign this legislation to help more of our youth enjoy the outdoors! As a New Mexican, I know why our state is called the Land of Enchantment. Not only are the landscapes of our state diverse and breathtaking to experience, but New Mexico is also a place where indigenous and traditional communities remain closely connected to the land. Because of our pristine landscapes and cultural depth, recreational opportunities abound on our public lands and could be more fully leveraged as a sustainable economic driver in our state. New Mexico has a tremendous opportunity to diversify our economy with the creation of the Division of Outdoor Recreation. Capitalizing on New Mexico's natural assets by targeting the outdoor tourism and recreation industry means jobs and small businesses will be created across rural New Mexico, where many communities are struggling. This bill also helps create the next generation of conservation stewards in New Mexico and lets our youth explore careers outdoors so they can create and find meaningful job opportunities right here in New Mexico. Thank you for your support of this effort and I urge you to sign SB462 into law. We’re excited to share that today Governor Lujan Grisham signed the bill to create an Outdoor Recreation Division and Outdoor Equity Fund (SB 462). The equity fund is the first of its kind in the nation and will ensure our state’s young people have access to the activities and special places we market to tourists. Wins like this don’t happen without you voicing your support - thank you!